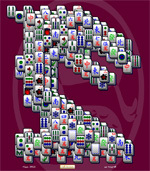 Watch out for the fire this dragon blows in the new game Dragon Online Mahjong Solitaire on Online Mahjong Solitaire.com. 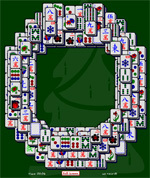 This is one of the more difficult games on this free, online site, so keep your eyes peeled for matches all over the board. 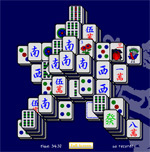 This layout will really test your Mahjong Solitaire skills. 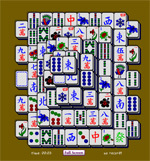 Slay the dragon by clearing all the tiles from the board by eliminating matches as you go. Proclaim your victory to the world by sharing our games on Facebook! Or challenge others to try to slay the dragon.